Despite the Spring Statement last week calling for measures to tackle climate change and students globally skipping school to encourage governments to take further action, research shows greater consumer education is needed to create meaningful change. New data from food waste app Too Good To Go reveals that less than a third (31%) of Brits are aware that wasting food contributes to climate change. 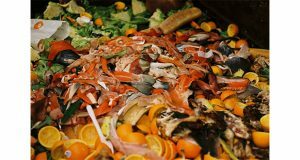 The research also shows that the size of the food waste problem is not widely understood – less than a fifth of adults (19%) surveyed knew that a third of food is wasted globally. Food waste generates about 8% of global GHG emissions every year. To put that into perspective, if food waste were a country, it would be the third largest emitter of greenhouse gases, surpassed only by the United States and China. In fact, the total contribution of food waste-related emissions to global warming is almost equivalent to that of global road transport emissions. With 69% of Brits being unaware of the correlation between food waste and climate change, it’s hardly surprising that so much food is wasted in British households. Wrap estimates that 70% (7.1m tonnes) of the UK’s food waste happens in the home. When respondents were asked why they throw food away, over half (51%) said they simply forget about what they have in the fridge or are too busy to check. When informed about the impact of food waste on GHG emissions, almost 80% of those surveyed said it made them want to reduce their personal food waste.